If plagiarism is the sincerest form of flattery then the IBM iDataplex team should take a bow. 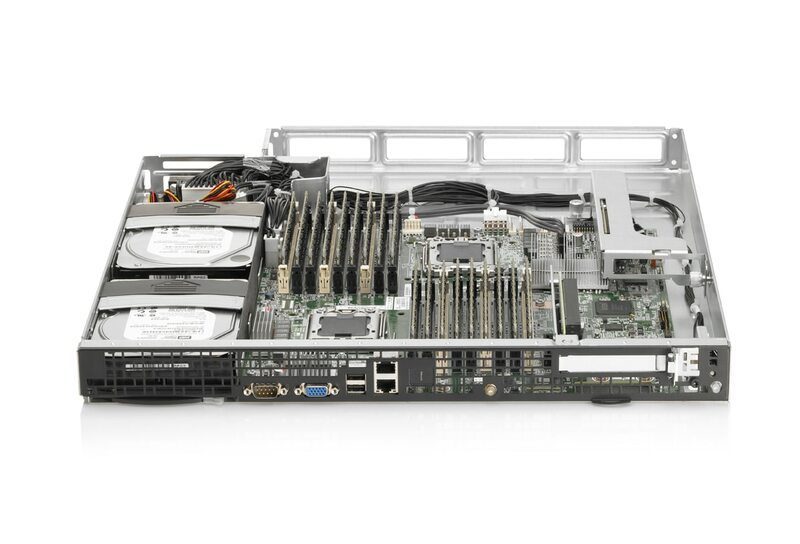 The design of the recently announced HP SL6000 scale out series is almost a spitting image of the IBM iDataplex product. Of course, the IBM iDataplex product had a scary resemblance to Rackable's design that predated both by a number of years. Besides cost considerations, one factor that pushed HP to this design is that their shipping container solution was untenable without front I/O access. HP needed a shallower chassis with I/O out the front so they could make the container serviceable. The SL6000 chassisses are still too deep to double the number of racks in the container but I wouldn't discount HP's design team ability to get creative with the new form factor. Like IBM's iDataplex offering the HP SL6000 is a 2U chassis that contains fans and power supply. 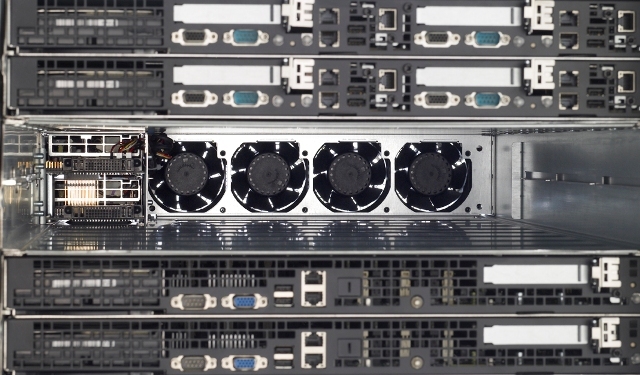 Compute capacity is then added to the chassis in the form of swappable trays. Unlike the iDataplex offering HP is only offering 1U form factor trays right now. I really liked iDataplex's four 3.5" disk tray that stacked neatly on top of a 1U compute tray. IBM also offered a 3U chassis that housed 12 3.5" disks and a single 1U compute tray. 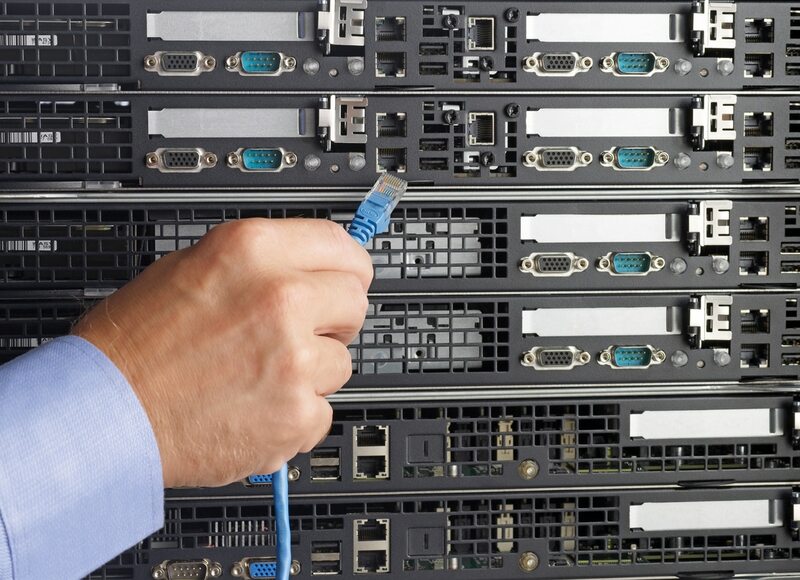 The flexibility of the IBM made it really easy to retask existing hardware for new uses. One differentiating feature of the SL2x170z, which fits two half width system boards on a single 1U tray, is the memory capacity. There are 16 DIMM slots on the board which is 33% more than Dell, Supermicro, and Quanta half width boards. Another nifty feature is the integrated status indicators and power switch on the planar. This eliminates the need for additional wiring and PCB for switches and status indicators. The biggest downside appears to be the lack of IPMI or any sort of remote management on the planar. The SL170z uses a Raritan Peppercon based add-in card which is strange in this day and age of Aspeed and ServerEngines integrated video and BMCs. The SL170z is a single planar 1U tray with room for six 3.5" disks. This is a pretty reasonable density for a dual processor system with six disks. Dell and Supermicro acheive similar density with their scale out offerings but have easier to service drives. HP will need to come in at a lower price point to make up for the hindered serviceability. The SL160z tray isn't two exciting. It uses a mostly standard EATX/EPS form factor systemboard in a 1U tray. It only holds two hard drives but does feature 18 DIMMs slots. The extra memory capacity is probably only useful for the memcached crowd. I do like the second oddly placed PCIe slot which allows two half heigh half length add-in cards to be fitted in the 1U chassis. The second slot would be more useful if the tray could hold more disks. One final thought - HP is offering three power supplies for the 2U chassis - 460, 750, and 1200 watts. Part of this is out of necessity due to the various configurations possible with each chassis. The benefit is that the power supply can be sized to the load instead of the typical scenario where the power supply is oversized by a factor of 3 or 4. Rackable "got" this from the start but even IBM missed this with their iDataplex offering.